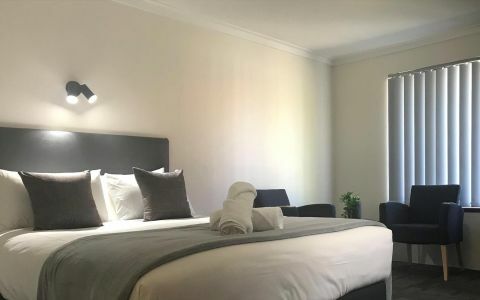 After an enjoyable meal in one of the many excellent restaurants in the foreshore precinct, or shopping in the many different specialty shops, guests can come home to our relaxing guest house. 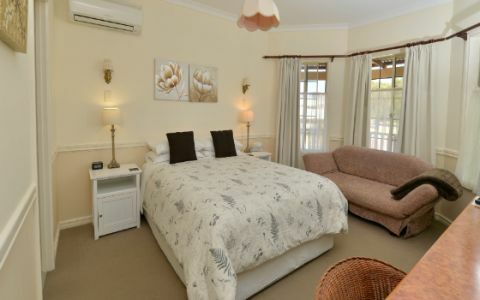 All rooms have their own reverse cycle air-conditioning units, tea and coffee making facility, fridge, HD TV, DVD player (DVD’s available to borrow), FOXTEL, hair dryers, free Wi-Fi and all have an en-suite bathroom and quality fittings and furnishings. A sumptuous continental breakfast is included with a choice of cereals, fresh fruit salad, yoghurts, tea and coffee, orange juice, toast, jams and spreads. The Anchorage has its own off road parking area. Our sunny and inviting dining area is adjacent to the ‘guest only’ lounge, all with a garden outlook. The bus to the train and main shopping centre stops close to our door, and we are a few minutes’ drive to Shoalwater marine park and Stirling Naval base. 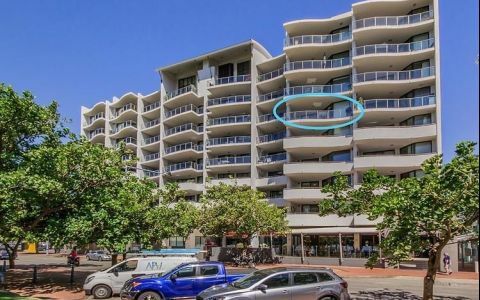 Offers plump, plush Queen bed with additional single sofa bed, bay window and en-suite and is adjacent to the large balcony, also has reverse cycle a/c,TV.DVD and FOXTEL. Continental breakfast included. Offers plush Queen bed and roomy en-suite bathroom Easy access to outside balcony to enjoy glimpses of the ocean through the trees. Also has reverse cycle a/c and FOXTEL. Offers plump, plush Queen bed and has bathroom with huge bath and shower adjacent , separate w.c. and reverse cycle a/c and FOXTEL. Head south on Kent Street and turn left onto Patterson Road. At the roundabout take the 1st exit onto Wanliss Street then right onto Smythe Street. The owners of this guesthouse could not be more welcoming! We stayed there for 3 nights while our car was getting fixed at the local mechanics and during that time, both Sylvia and Emiliano went above and beyond to look after us. The breakfast was delicious, with an array of cereals, fruits and toast. On our last day, Emiliano even made us scrambled eggs! The room itself was lovely also and beautifully maintained. The guesthouse is within walking distance of shops, restaurants and the beach. I would definitely stay there again if I ever found myself in the area. 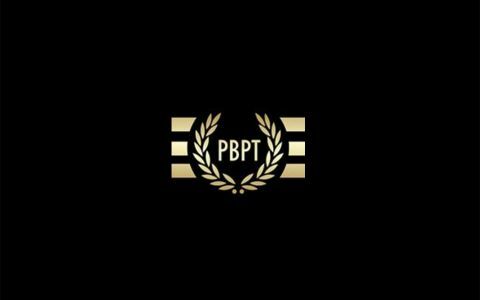 Thanks for everything guys. Welcoming with a great location! Friendly, welcoming host, big, comfortable bedroom, with big en-suite bathroom (and bath), great location close to excellent restaurants and bars, free use of the lounge. We were encouraged to make ourselves at home, and we did! First class place to stay! We had a very warm welcome from our knowledgeable hosts, Emilio and Silvia and given a beautiful, spacious, spotless room with all facilities. The breakfast was generous and plentiful with lots of variety. It is in a quiet spot but close to the beach and restaurants. Highly recommended.